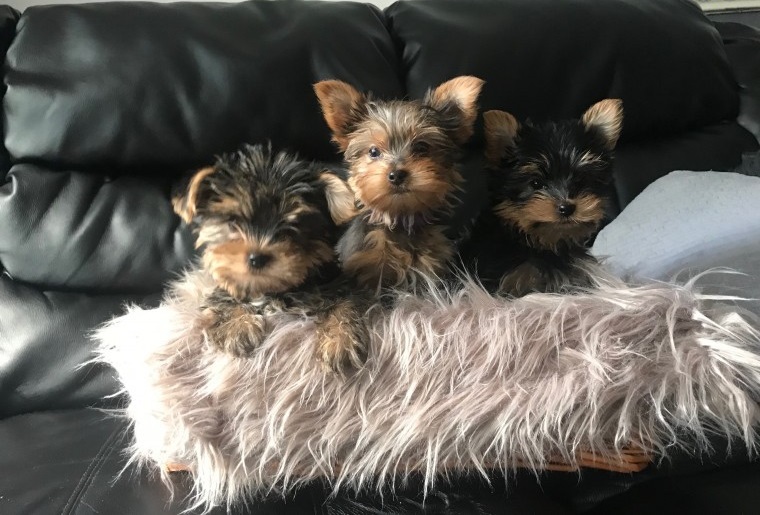 Tiny Teacup Yorkshire Terrier puppies. Will be 3 lbs full-grown. They have all their shots according to their age. If you are looking for a small loyal dog, this is the right one. I also have started all of their house training from a very young age, so that it is not hard on new owners. I have 1 female and 1 male left. You can call or text at (443) 261-5864 for more information and pictures.